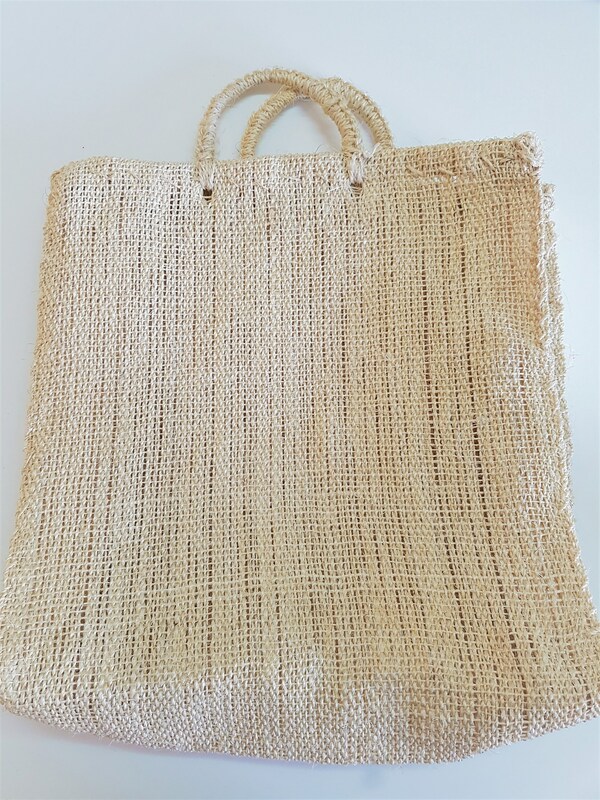 Natural fiber shopping tote made in Mexico by artisans using antique techniques. Hand woven from Ixtle fibers. 42 cm width x 42 cm long x 13 cm wide. They are very well design, and resistant. IXTLE, is a natural fiber obtained from one of the varieties of agave popularly known as Maguey, and it has been used since Pre-Hispanic times for ropes and other objects of daily use, at present our artisans, using their creativity, they have perform many beautiful items like this purses in order to increase their income and quality of life. The charm is not included.